The best place to watch the water birds, on the Central Oregon Coast, is from the South Jetty in Newport. The Wine & Seafood Festival is this weekend but the jetty wasn’t where the crowds were yesterday. 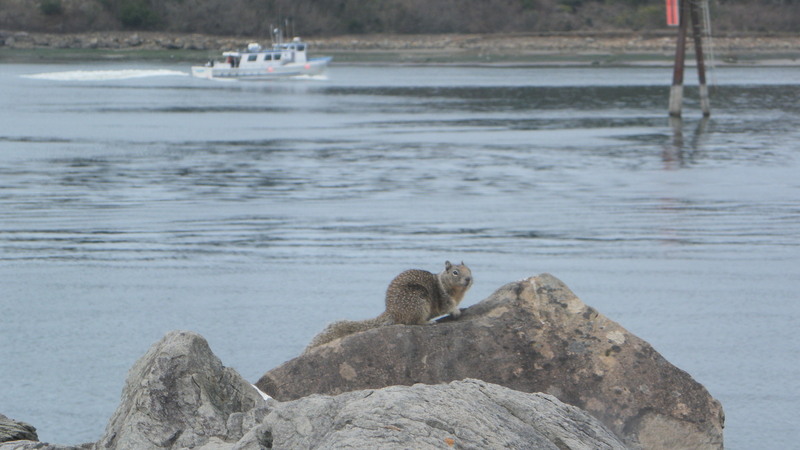 Again, we drove through Burger King and took our lunch to the jetty. I’m pretty sure this is a male Bufflehead. 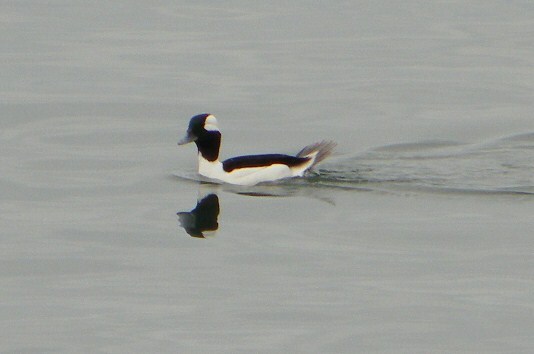 Buffleheads weigh about 13 oz. They have the distinctive markings of white on the back of the head and a white body with black wings. 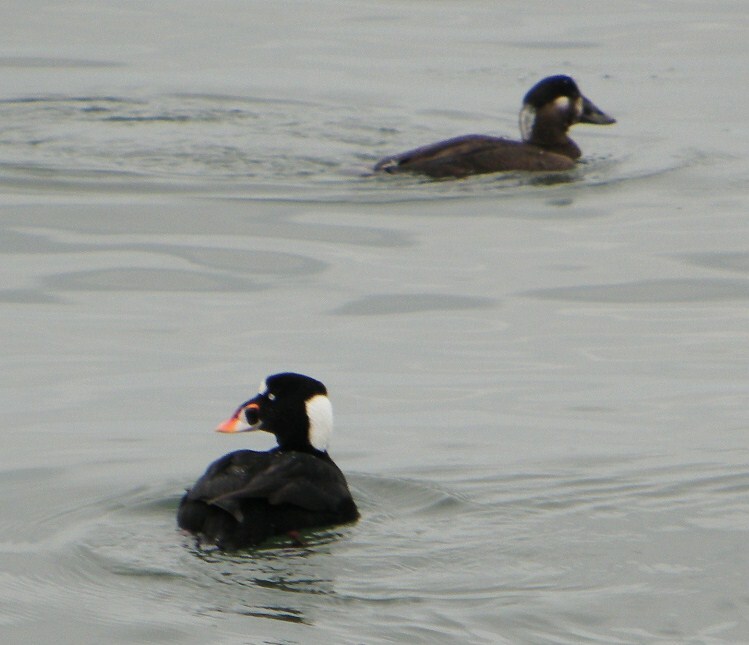 Here is a Surf Scoter couple. These birds weight about 2 pounds so they are over twice the size of the buffleheads. Suf Scoters are mostly black. The male has a white patch on the back of the head. They both have a hump on their bill and the male’s bill has a pretty orange pattern on it. I think these are a couple young Loons. 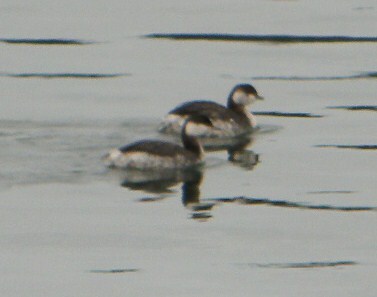 They are smaller than the adult Loon and the parent kept a pretty good eye on them. The Pacific Loon weighs about 3.7 pounds. You can see the size difference from the Bufflehead in the picture. This is not a bird. He just wanted his picture taken in front of the boat. Looks like a wonderful day – -love the loons, could listen to them calling back and forth all day and night. Enjoyed the pictures. You two and Steve keep me up on the coast scene.